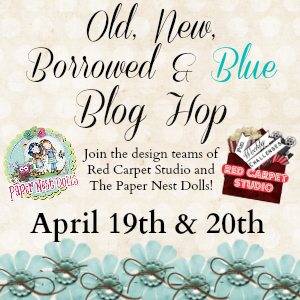 Welcome to Day 1 of the Old, New, Borrowed, and Blue Blog Hop! 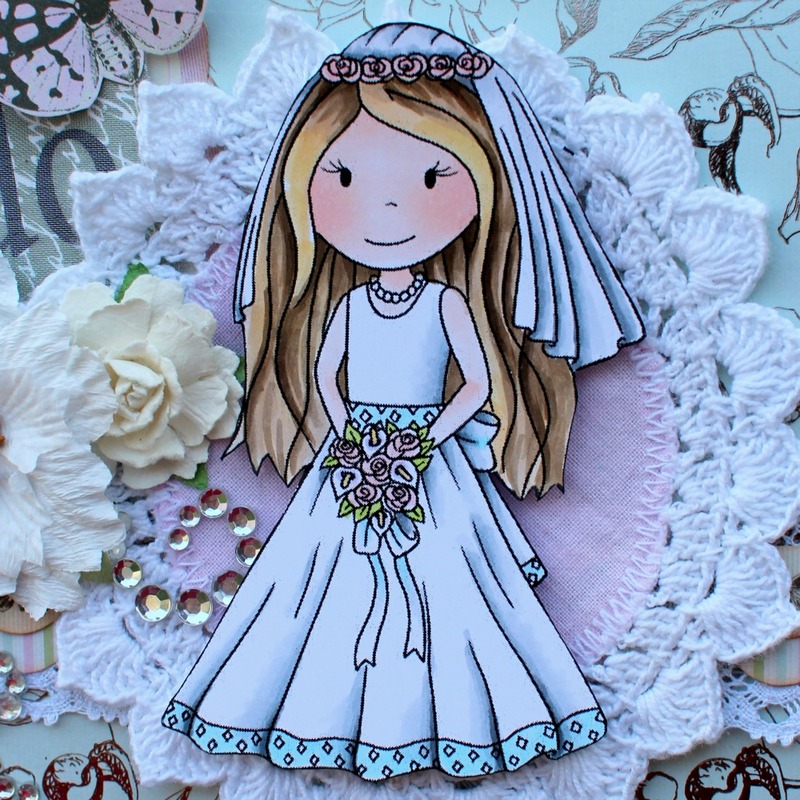 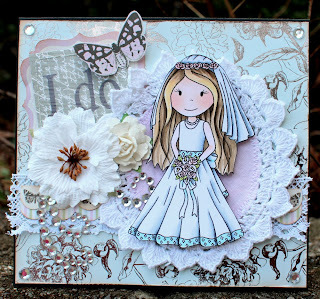 Wedding bells will soon be ringing as the wedding season is almost here, and the design teams of Red Carpet Studio and The Paper Nest Dolls have teamed up to provide you with some beautiful wedding inspiration by creating projects using Paper Nest Dolls digital stamps! 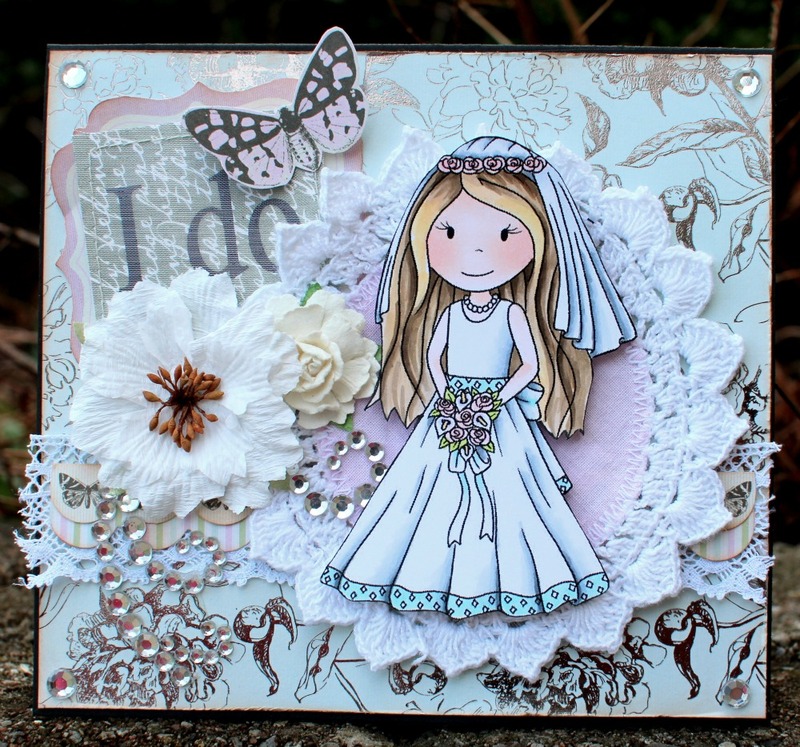 If you’ve just come across the hop and would like to start at the beginning, please visit Red Carpet Studio. 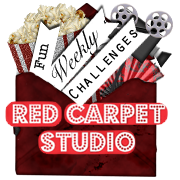 Red Carpet Studio is a movie-themed challenge blog that runs weekly challenges, alternating between layout and card challenges each week. 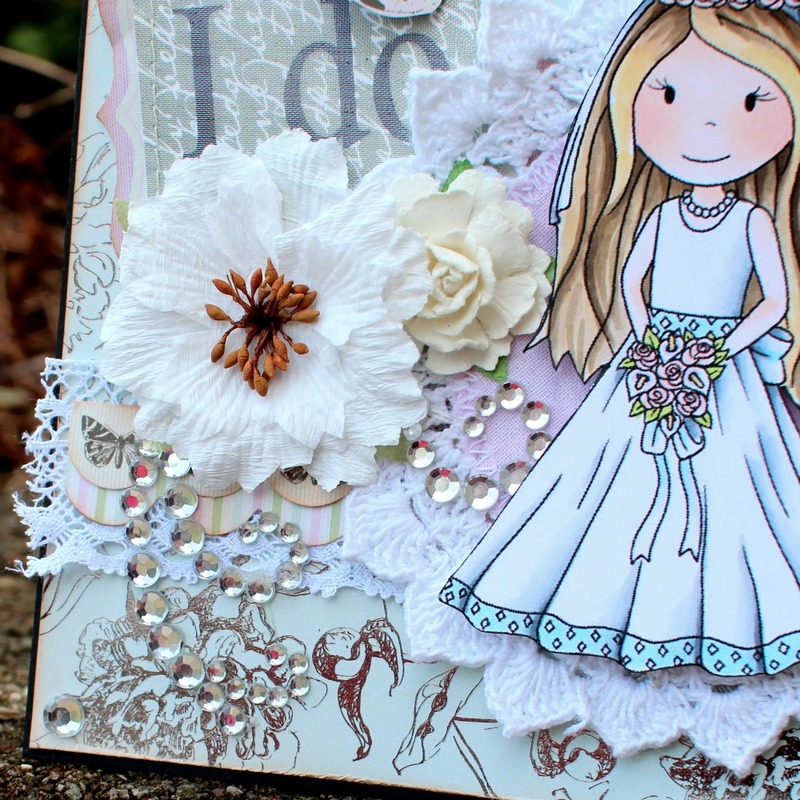 All of their challenges are inspired by either a movie or aspect of Hollywood! 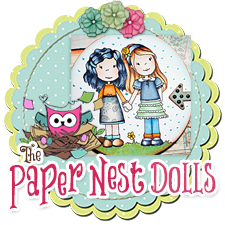 The Paper Nest Dolls is a brand new digital/rubber stamp shop that sells adorable stamps inspired by the designer’s children. 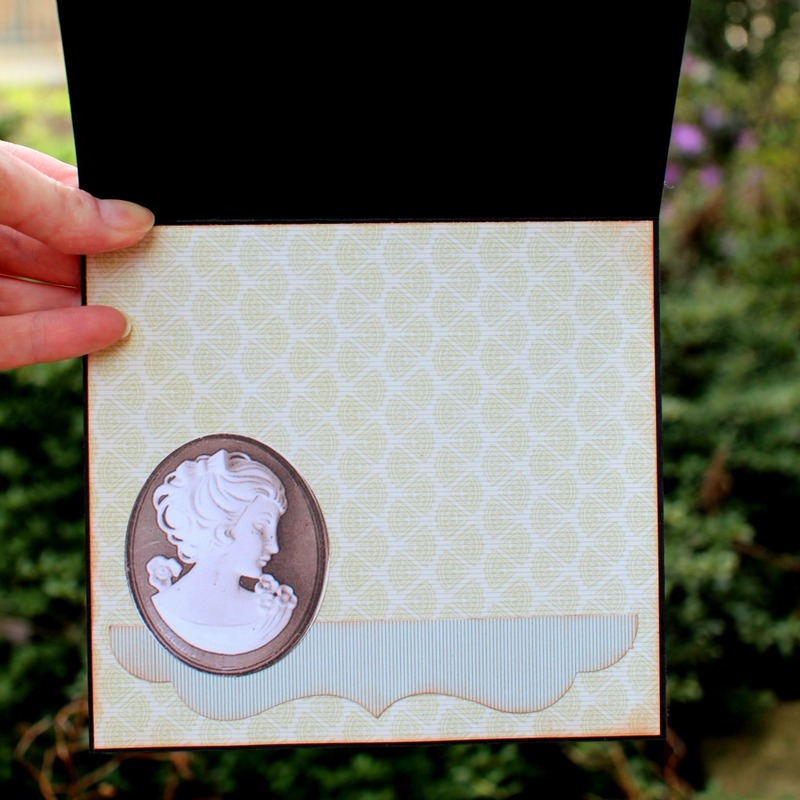 Their stamps are sold here and they just started a challenge blog as well! I used an older Kaisercraft collection and FWAB Adhesive Rhinestones 100 Pack Silver, and FWAB Elise Flourish Silver. The Paper Nest Dolls owner and artist, Christine, is very generously providing us with some blog candy from her online stamp shop and her brick and mortar scrapbooking store! 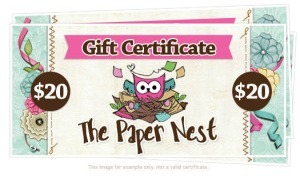 To be eligible to win you must comment on every stop of both days of the hop. 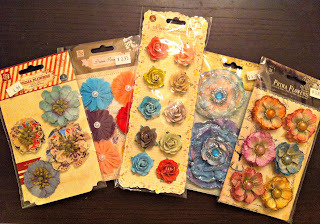 Ready for the next stop? It’s Tonya’s blog!